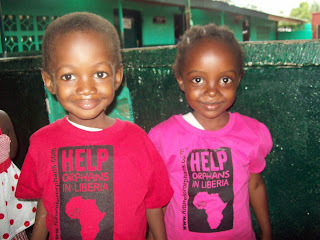 Orphanage Project Liberia shirts are ready! CLICK HERE to see what colors and sizes we have in stock! Other colors and sizes available upon request. If you are interested please email Kami at bluecowgirl@yahoo.com with the amount you want and your address. 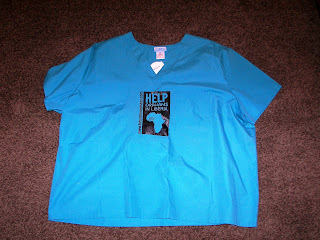 Here is a scrub shirt. Here is a custom apron. You too can outfit the family! Or get a cute tank, perfect for the hot summer weather! 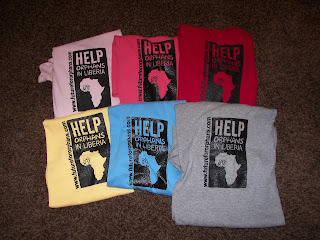 Or you can wear your shirt in Africa. 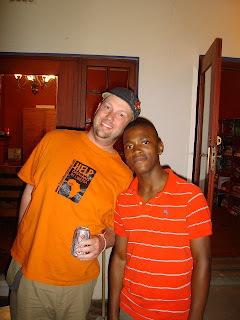 This is our friend Ray in South Africa. It all looks so great!!! We are so excited to get ours : ) Kami, it was so fun to talk to you!! God Bless you guys! 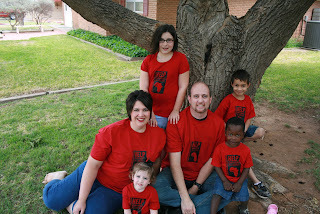 Hey, WHo is that RED HOT family : ) I hope we look as cool as them in our shirts!!! 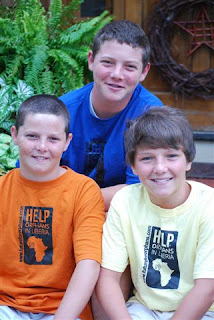 What great quality shirts-they have a nice fit-we love ours. 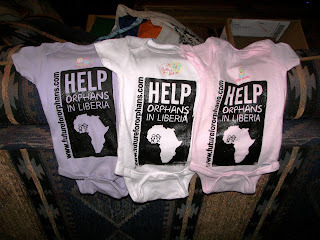 The kids were so excited to get theirs to wear! 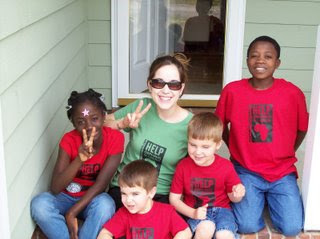 The t-shirts are great! My kids look adorable in the light blue ones we ordered. The quality is great-they don't have the weird necks that some t-shirts have. Thank you for the COMFY tank! I love it...and it has a simple purpose. The bag is great too, a wonderful gift for my mother. She was excited to get it and help out different groups of people with one simple purchase!